As a Grand Island native, Scott found his passion for health and fitness at age 15. 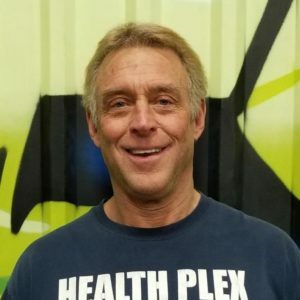 It was only a few short years that he was able to turn his dream into a reality and became the proud owner and CEO of Health Plex Fitness Center in 1982. To this day, Scott remains passionate about, not only the Health Plex, but also about each and every member. 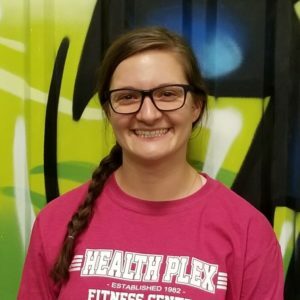 Sam has grown up with the Health Plex and has been around weightlifting her entire life. 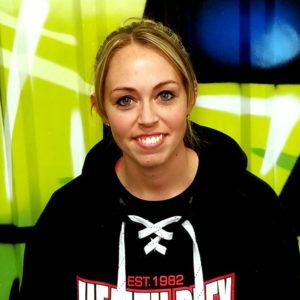 Naturally, as she grew older and began working at the Health Plex as a teenager, her passion for health and fitness only evolved. In 2016, Sam became certified as an AAA/ISMA Sports Nutritionist and AAAI/ISMA Personal Trainer. Lizzie comes from Denver and has been in Nebraska for the past 6 years. Lizzie has been a practicing yogi for 8 years. In 2016, she became certified as a PiYo Live instructor, AAFA Sports Nutritionist, and ISMA Hatha Yoga instructor. Lizzie believes everyone should step outside their box and push their limits in order to discover new things about themselves. 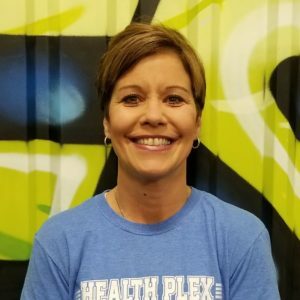 Shari has been a part of the Health Plex team since 2004. She has trained members and instructed spin classes throughout the years. She is also a middle school health and wellness teacher. Shari began competing in bodybuilding and powerlifting competitions as a teenager, and currently holds a world record for 231lb bench press in her weight class. As a Grand Island native, Brittnnii worked at Twisters Gymnastics for 9 years and was an active gymnast herself. In 2017, she won 2nd place in a Crossfit competition. 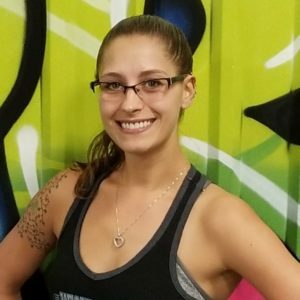 Brittnnii has been teaching classes at the Health Plex since 2015. Kristi works with members in setting goals and provides personal assessments. Throughout her adult life, she has learned the importance of developing a healthy lifestyle through good nutrition habits and regular exercise. 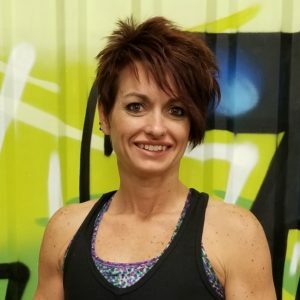 Kristi specializes in group fitness along with strength and weight loss. She is a certified Beachbody group fitness instructor, boot camp instructor, and NASM certified personal trainer. Schedule an appointment today to start reaching your personal goals. 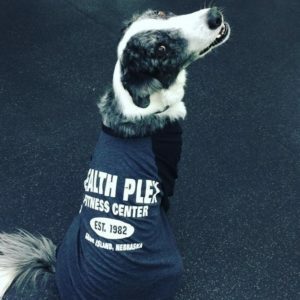 Jake has been an honorary team member with the Health Plex since 2015. Jake and his best friend, Widget, were found wandering around central Nebraska and shortly after moved to Hastings where they met Scott at Startover Rover. Jake’s hobbies include napping on the couch, napping on the floor, and basking in the sun.